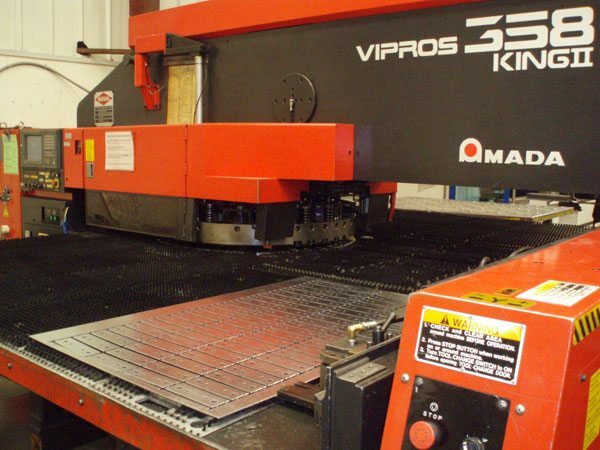 Our CNC Punching machine has a punch rate of 800 hits per minute. We have found that a lot of operations and/or parts are still better suited for punching. For example, if the project has a lot of holes or a part with extrusion and embosses, we send it through our punching cell. Trap doors allow for completed parts to be removed from the blank they were punched from in a high-speed manner.